Welcome to the Festival in the Desert website. 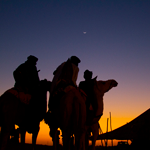 This site is dedicated to the Festival Au Desert outside Timbuktu in Mali and showcases videos, photos and information from the festival. For the official festival website please click here: Official 'Festival Au Desert' website. 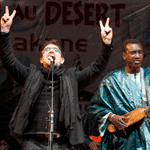 The festival in the desert is currently in exile due to the unrest in Mali. 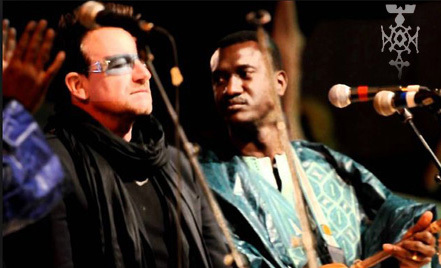 The organizers of the festival will be putting together tours and concerts around teh World with many of the Malian artists that have performed at the festival so keep an eye out for Mali bands coming throughout the globe. If you are curious you can contact us directly and we will be happy to let you knowwhat we know, and where the festival will be. Contact us here. 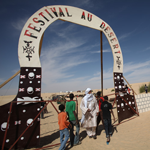 Le Festival Au Desert, which started in 2001, takes place in the North of Mali, a few kilometers outside Timbuktu. It originally started in Essakane, in the very north of Mali, deep in the Sahara desert, however due to the difficulty of this journey, and the safety of the region the organizers moved it to a more accessible site in 2010. 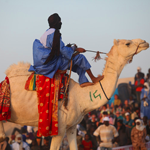 This festival follows in the tradition of larger, traditional Tuareg Festivals like Takoubelt in Kidal and Temakannit in Timbuktu. 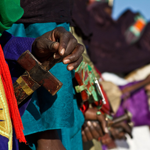 These festivals were strictly Tuareg and represented the time for nomadic Tuareg to get together and make decisions and exchange information among the many communities. These gathering were always festive in origin and were celebrated with song, dance, poetry and more.